What networks are they having success? 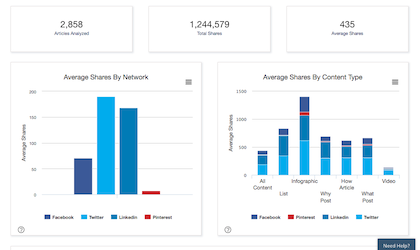 Here’s how BuzzSumo can help you do all this and more to stay ahead of the pack. 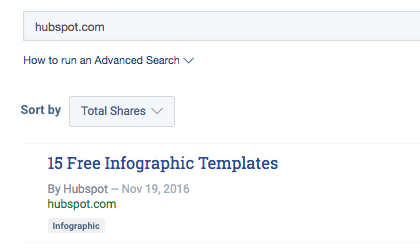 Your Competitor’s Most Shared Content Enter a competitor’s domain to search for their most shared content. 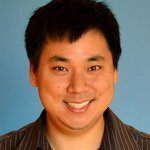 Analyze what is working for them by using BuzzSumo’s filters such as the content formats are they using and the networks they are getting most success. 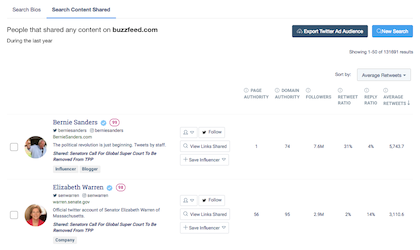 Amplifiers Who Share Competitor Content See who has been sharing your competitor’s content. Just click view sharers. Filter by sharers by number of followers or engagement. You can also export the list of sharers. Competitor Content Alerts Get a content alert every time content is published by your competitor by creating a domain alert. Content alerts can be mailed to you instantly and are also available in your dashboard. Never miss a breakout post by your competitor. 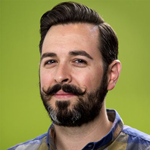 Competitor Content Performance Reports Get detailed competitor content performance reports. 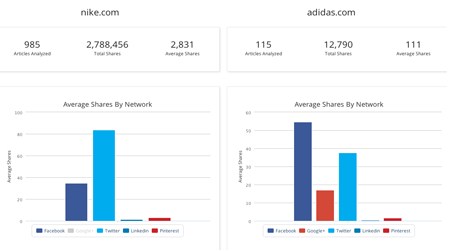 See where they are getting success, analyze average shares by network, by content format, by content length and day published. 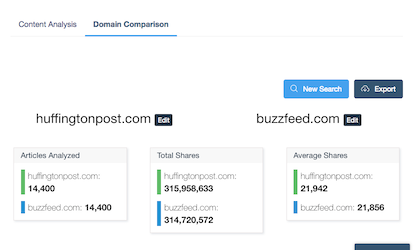 Competitor Comparison Reports Use BuzzSumo’s domain comparison reports to compare your content performance with your competitor or review the performance of two competitors.